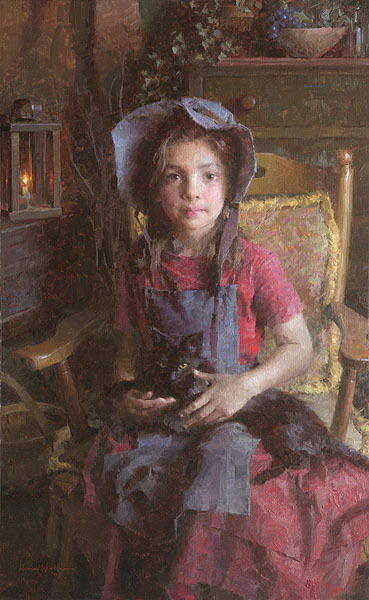 Morgan Weistling’s contemporary impressionism describes a timeless America of the not-too-distant past, as well as the beauty of everyday childhood moments. His 2009 Greenwich Workshop release, A Helping Hand, graced the cover of Western Art Collector last June and Confidante, his November release, is the cover image of Art of the West for November/December 2009. Weistling has won numerous prestigious awards including recent awards from the Autry Museum of Western Heritage and the National Cowboy and Western Heritage Museum.